With all the recent launches up and upgraded tech out in the market, there are more than a couple of things people are unaware of. Let us know what are these new gadgets which help us make our rides more comfy and enjoyable. 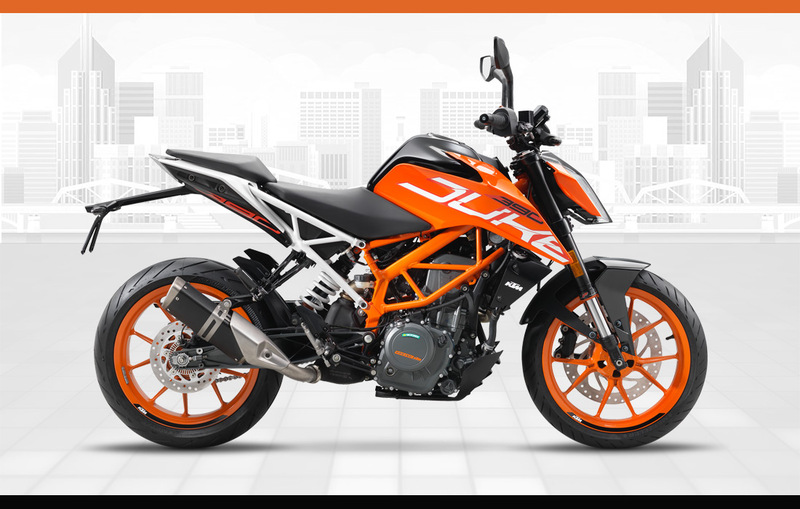 Today, we give you crux about the latest feature offered in 2017 KTM Duke 390, the ride by wire. With every recent bike launches happening in and across the state including the launch of Duke 390, there is a term which is associated with those. The ‘Ride by Wire which’ is assisted with any of these higher end bikes and no doubt it seems to be something new. Also, it is not really known to people. This tech happens to be one of those things which has a lot of misinterpreted uses and is one of the most misunderstood pieces of technology. Let us know what it really is and how does it enhance your riding experience. The Ride By Wire is responsible for all the mode control setups you get in your vehicle. The RBW assists the bikes in playing and shifting through all the various terrains. This tech takes your riding experience to a next level, and hence it doesn’t happen to be a regular fitment for all the bikes out there. This tech is purely suited to sports tourers, sportbikes, or adventure bikes and touring machines which are designed to perform everything a regular bike isn’t designed to do. When you are out on a long ride, you don’t know always what kind of terrains you are going to witness along the way. Thus these mode controls such as Cruise control, Traction Control etc come in handy. Ensuring comfort during the overall ride and taking you in and out of any terrains, the Ride By Wire is your most important assistance which is never visible. Engine Control Unit is a circuit which assists the vehicles in controlling a number of actuators in the (I.C)internal Combustion Engine. It ensures and enhances the optimum performance levels of the I.C engines. 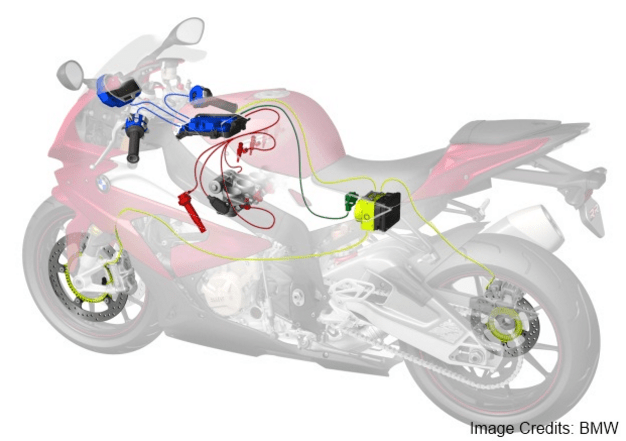 Ride By Wire or Throttle By Wire is simply a mechanism in which the wire is suited with the bike’s throttle and it is carried to the ECU of the vehicle. Unlike how the name suggests, the bike really isn’t driven by the wire but is assisted by it. So basically when you pitch the throttle of the bike, it generates small electric (current) impulses which are sent to the ECU. The ECU then depending on the throttle pull responds to the stimulus and opens the butterflies at the carb. Every throttle pull is associated with a mapped response, and hence according to how you pitch the throttle, the ECU delivers that much powers to the wheels. Thus unlike the regular bikes, the machines suited with Ride By Wire tech, never experienced stalling of the bikes. In order to get higher and more enhanced experience from your vehicles, you can also remap or retune the ECU in your machine. This tech can be altered as per the riders need and hence can be suited to each and everyone’s taste and need. It really allows you to use the optimum level of everything your bike can deliver. ECU remapping is done in various aftermarket workshops and no doubt it costs a lot of money, but no doubt it does feel worth the money! You can even enhance the power delivery at your wheels and ensure optimum fuel efficiency by altering the ECU settings. As the ECU is tuned for a general purpose, it is tuned to an average level of power delivery and fuel disposal. The need of Ride By Wire is understood at sharp corners and aggressive turns wherein you feel the need to get out of the corner aggressively, but when you expect from the throttle, it doesn’t deliver due to abrupt and insufficient flow in the air chamber. At such situations, stalling of the bike and the throttle response gives you a downer about the bike. This is where the Ride By Wire changes the game! What are the Advantages of Ride-by-wire? Just like any new technology, ride-by-wire is not perfect. It has its own limitations. Since the throttle twist is not directly proportional to the opening of the throttle valve, there is reduced feedback for the rider which makes it difficult to get used to the responsiveness of the bike. As the technology involves sophisticated instruments, it is impossible to troubleshoot without the aid of skilled professionals. The cost of repair is also high.